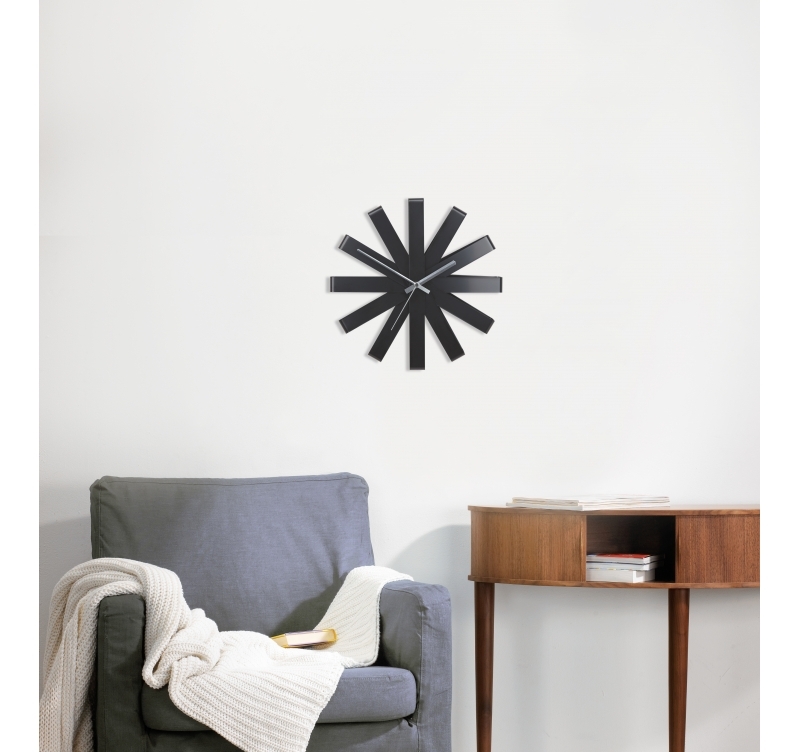 A timeless design for this decorative wall clock. 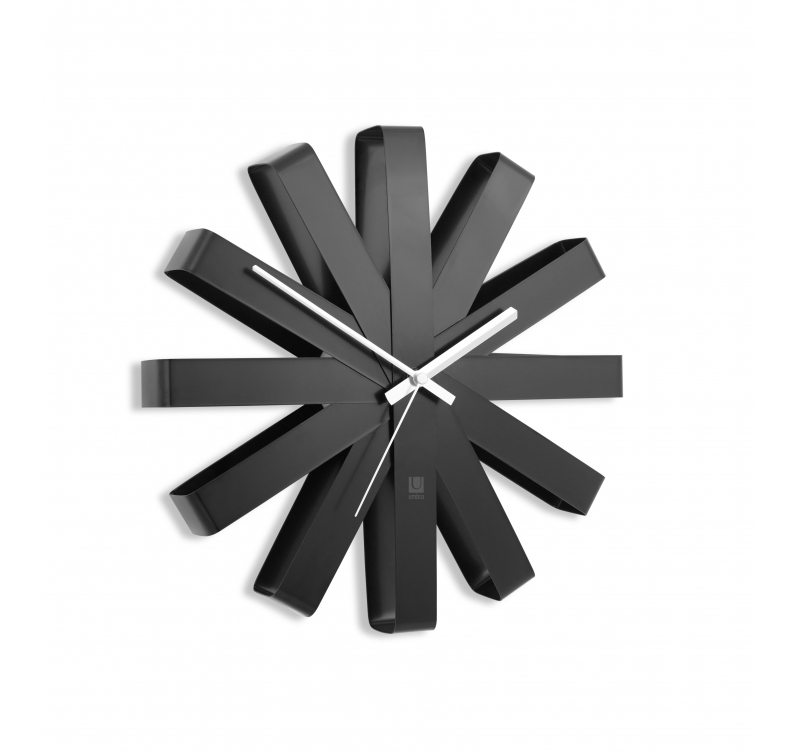 This modern wall clock is made of thin ribbon-shaped aluminium layers. This large wall clock is 30.5 cm in diameter. Free 48 / 72 h delivery in metropolitan France and Belgium for this deco wall clock. To try it is to keep it ! 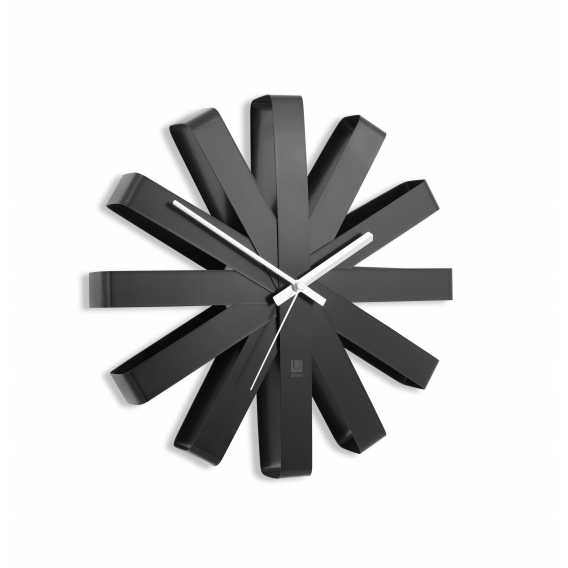 For a black and white wall decoration, this design clock will be the modern touch to complete your interior. 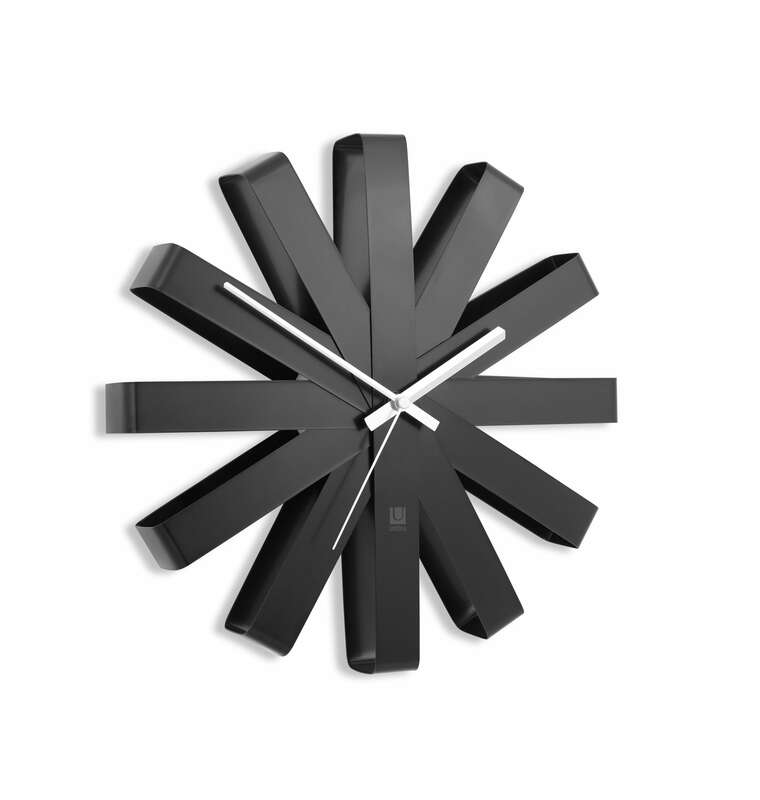 With its unique shape and aluminium ribbons this contemporary wall clock will seduce you with its originality. The hands in the center hug perfectly the curves of the decorative wall clock while enhancing the hours for a better vision. You can either set it up in a lounge or a kitchen or a bedroom according to the style of the interior decoration you wish to have. 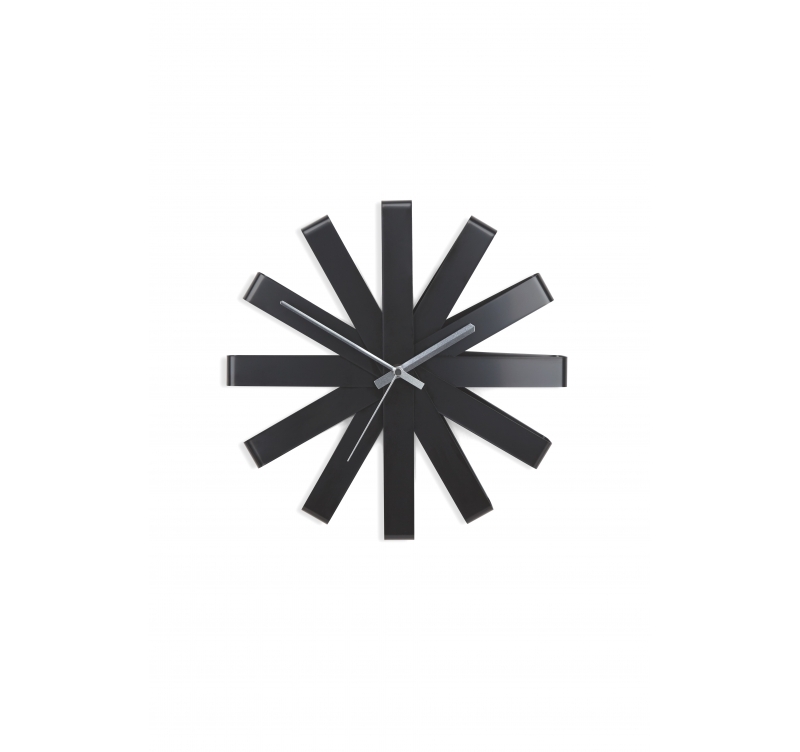 All our modern wall clocks are fitted with a quartz movement and work on standard batteries (not included). This lounge wall clock also comes in wood and other colors to suit the interior you wish to create.